Magic Stroller Bag - the perfect nappy bag for umbrella strollers, plus a mini version! 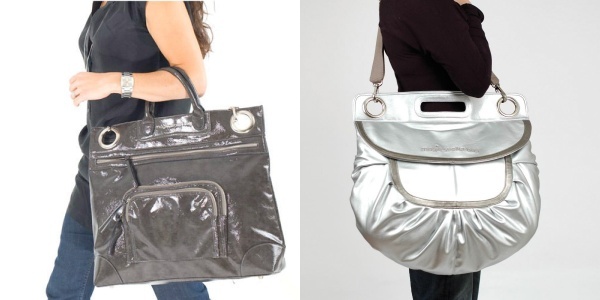 Magic Stroller Bag – the perfect nappy bag for umbrella strollers, plus a mini version! Just when you think you’ve seen all there is to see from the nappy bag world, along comes another to make you say “Now why didn’t I think of that?”. At this stage in my family’s waning stroller career, our trusty Maclaren still gets a weekly workout. But the fact remains that if your handbag doesn’t have the right strap, it’s difficult to attach to an umbrella-style stroller. If there is something my neck reacts badly to, it’s pushing a stroller whilst trying to keep a handbag on my shoulder, so here’s where the Magic Stroller Bag comes into its own. Stylish and very ‘un-nappy bag-like’, the Magic Stroller Bag has two large round holes at either end so it can be easily and safely attached to the handles of a stroller. When it’s taken off to carry, the holes become a lovely feature of the bag. There are four great styles to choose from, with more being released all the time. They are equipped with everything you need with a baby or toddler on the go – lots of pockets, an adjustable strap, a wipe-down surface plus all the room you require and a bit more! The Magic Pocket style rolls up into a travel version so is super-portable. We also just had to feature the mini versions available! 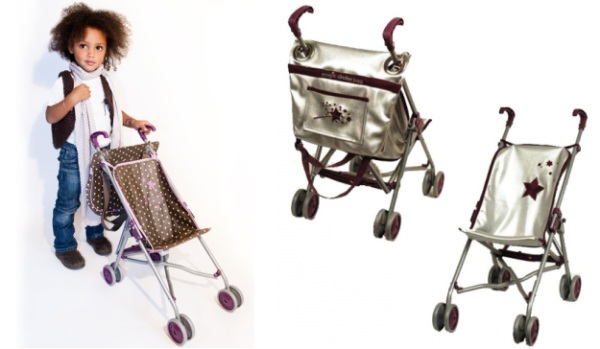 Now your little person can roll alongside with a matching mini stroller and Magic Stroller Bag. This is such a great idea, particularly when a new addition is due in the family. Your toddler can really feel a part of it pushing the mini. Zebre Rouge is stocking the bags. Stay tuned on the Magic Stroller Bag site for more stockists and an English version of the site.